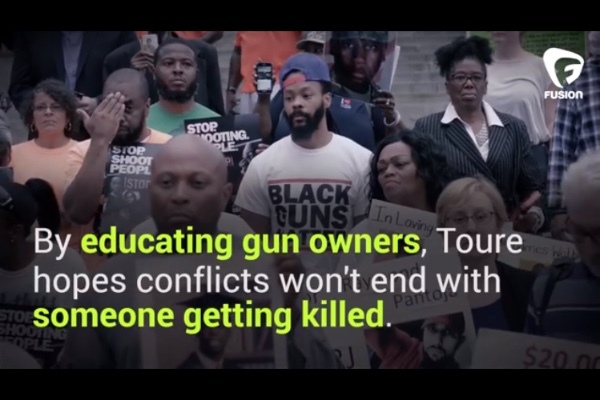 We are fundraising for a 50 state tour to continue informing urban communities--especially youth--about safe and legal firearms knowledge, conflict resolution, and the 2nd amendment. 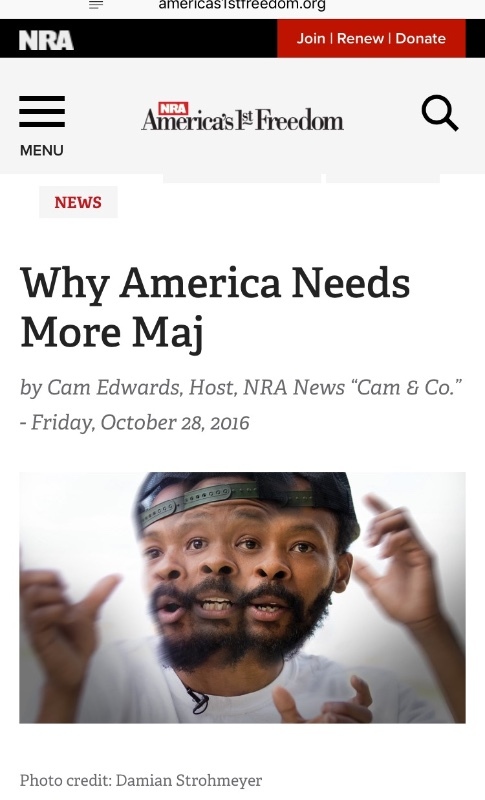 I am the founder of the Black Guns Matter movement. He is a Hip Hop artist and activist. 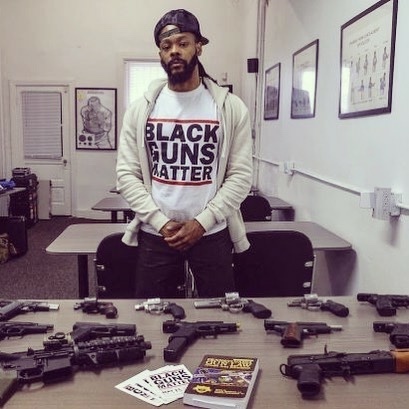 Black Guns Matter educates people in urban communities on their 2nd amendment rights and responsibilities through firearms training and education. I am the founder of the movement that I am raising funds for. The funds cover the cost of transportation to each of the 50 states, as well as the cost for refreshments during each class, compensation for instructors, and promotional materials. The funds are not going to people in need. They are being used to off set the price of instruction and make it free for all participants to attend classes. As we bring in the year 2019, we've reflected on how many cities we've done (over 50) and how much more work there is to do. Over the last few years we have hit our marks, met and helped TONS of awesome people, but the need for more of a political understanding is in order. So, we have decided to do 20 more cities for 2019. We will raise our goal to 200,000 and do five different events per quarter for 2019. Thank you ALL for continuing on this journey, lets reach even new heights. The #BlackGunsMatterTour is headed to Atlanta, GA, Compton, & Oakland in the next few weeks--we have completed trainings in Baltimore, Philadelphia, and Chicago thanks to the support of #ThePeople. Check it out and continue to spread the word!! Today we surpassed our $7000.00 goal Solutionarys! That is a huge accomplishment. This will allow Black Guns Matter to visit 6 of the 13 cities on the tour including Chicago, Detroit, and Compton. Thanks to you, we have already launched the tour in Baltimore. Please continue to share, tweet, and most importantly, be a Solutionary. Solutionarys!! Today we surpassed our $3000 fundraising goal. Our next goal is $7000. Doing it for and with #thepeople!! This B.S. donate to a better cause people or to me so I can buy an exotic Car!!! What a great cause. Black and White lives all matter. It's not the guns killing people, it's the people killing people. God Bless! Maj had a class tonight for Minneapolis. I think it lit a spark for people and that's impressive. It's not an easy subject matter. Thanks for the visit! The list of cities on the tour are? Please go fund chanelle brown single mom out on the streets she needs it! PLEASE READ: I am a senior in high school. My future goals is to be a therapist and attend a 4 year university with many benefits to offer to make my 4 years fantastic!! Me and members of the sorority would appreciate your support of this activity in the form of a monetary donation. Your donations will be channeled back into the community by awarding scholarships to deserving high school students. A portion of the proceeds will be used for me to attend college. I would love for all of my family and friends to support me by making a donation on my behalf using my electronic fundraising campaign. Please know that NO donation is too small and EVERY donation is greatly appreciated. Thank you for your consideration!! Maj, Have you reached out to the Libertarian Party? You are aligned with our views and they may be able to help you. Which cities will you be visiting? Thank You!! This is an OUTSTANDING concept, something I have advocated as necessary for a long time now. I grew up in rural Arizona, and firearms instruction was part of the school curriculum back then in the 1960s and 1970s. God Bless You. This is a creative way forward when it is obvious that past "theories" on how to end urban gun violence just don't work. Thank you for taking this courageous path to ending urban gun violence - the only question is why has it taken so long for someone to put forward education and training in a convincing and attractive manner? Thank you, again for your courage. Hello! Please check out my fundraiser too! In order to close the gender gap I am trying to start a coding club focused on getting girls interested in the STEM field! Its called Raising Money for Girls who Code! Thanks! A great cause, Keep up the Fire. Definitely a legit organization that is worthy of one's time and resources. Everyone deserves the right to an armed self defense if they want one.